Taleris Credit Union (TCU) is made up of groups of people, related by a common bond, who pool their savings into a fund from which each may borrow should the need arise. This philosophy of “People Helping People” has been the cornerstone of TCU for over 80 years. TCU is a democratically operated financial institution owned and operated by its members. The Board of Directors are volunteers, elected by and from our membership, for the purpose of assuring that TCU is operated for our members’ benefit. Originally chartered in 1935 as The Ohio Bell System’s Cleveland Employees Credit Union, we began to serve the financial needs of employees from Ohio Bell Telephone from the Greater Cleveland, Ohio area. In 1956, our name was changed to The Telephone Credit Union. 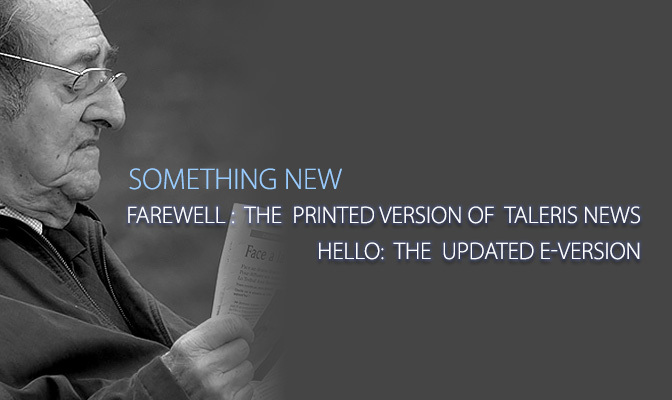 Over the years TCU saw many more changes, and its membership grew rapidly. TCU began to serve many members outside the telephone company and, in 2005, The Telephone Credit Union was re-named Taleris Credit Union to reflect the diversity of its membership. In August 2006, Taleris Credit Union opened up membership to everyone living, working, attending school or attending worship services in Cuyahoga County. In May of 2013, membership expanded to include Medina County. In April of 2016, membership expanded again, including Lorain, Summit and Lake Counties. Today TCU is an $70 million dollar not-for-profit, full-service financial institution providing a full spectrum of services to over 10,000 members all across America. Membership in TCU has grown to include employees of AT&T, Yellow/Roadway, FedEx Ground, Dots, Things Remembered and almost 200 other Corporate Partners. 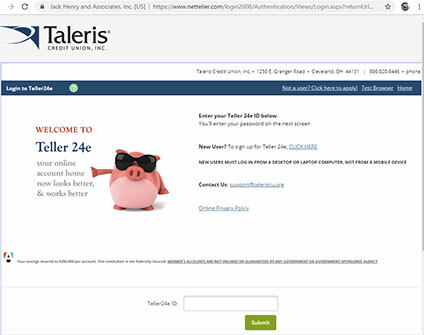 Taleris Members can access their accounts through their mobile device, internet connection or through any touch-tone telephone, 24 hours a day, 7 days a week.